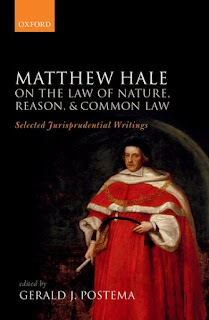 Lawyer, judge, public figure, historian, theologian, and amateur natural philosopher, Sir Matthew Hale worked and wrote in the middle decades of the seventeenth century, perhaps the most turbulent period of English political history. His reflections on reason, law, and political authority, unpublished in his lifetime, are collected in this volume. 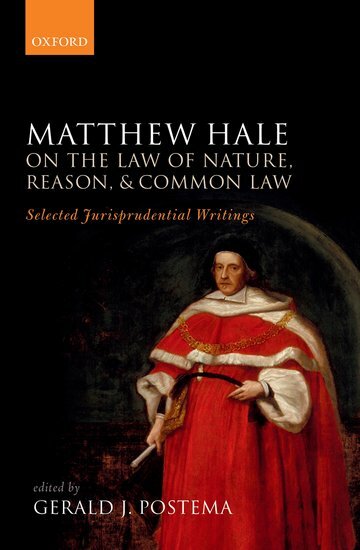 It sets Hale's previously unpublished Treatise on the Nature of Laws in General and touching the Law of Nature and his "Reflections on Mr Hobbes his Dialogue of the Laws" in context of other key works of legal and constitutional theory. The Treatise reveals a complex general understanding of law and of moral and legal reasoning. "Reflections" brings these general considerations to bear on English law, in his critical response to Hobbes's all-out attack on common-law jurisprudence. "Reflections" suggests a conception of judicial reasoning, and a view of political authority, that deepens the view Hale defends in the longer and more systematic work. His views on practical reasoning are elaborated and related explicitly to the discipline of law in his "Preface to Rolle's Abridgement" and in parts of his History of the Common Law. In the Treatise, Hale argues that human law is necessarily instituted in the practices and customs of specific communities, manifesting their consent; this view is enriched and deepened in the History and "Considerations touching Amendment of the Law". His views on the foundations of political authority, sounded in the Treatise, are argued at length in Prerogatives of the King and "Reflections". "Reflections" argues for necessary legal limits of ruling power and Prerogatives offers a systematic discussion of the nature and limits of political authority. Taken together, these writings offer a rich and subtle articulation of a classical common-law understanding of law, reason and authority. Gerald J. Postema present these seminal writings in a modernized text for readers from philosophy, law, political theory, or intellectual history. He contributes an extended introduction setting out the theoretical and historical context of the works. 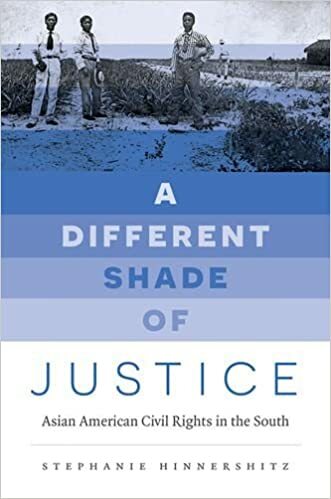 I've very much appreciated the opportunity to blog about the research in my new book Litigating Across the Color Line this month. 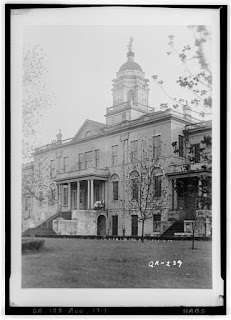 Today, on my final day of blogging here, I thought I would reflect on some of the things that I have noticed and learned about black southerners’ participation in civil cases in state courts during this project. There was no sudden shift in what appellate civil cases between black and white southerners looked like as Reconstruction gradually ended in southern states. Instead, the shifts seem to be aligned to some extent with voting rights. The types of cases black litigants could participate in became much more narrow at the end of the 19th century as disfranchisement set in. Then, beginning in the 1920s as the Great Migration led to increases in black voting around the nation, black southerners' civil cases became much less constrained once again and began to engage a wide variety of issues. This broadening of cases continued in the 1940s as voter registration drives had some success in the U.S. South. Even as black southerners’ ability to litigate different kinds of civil cases in southern appellate courts widened or narrowed during different periods, African Americans continued to litigate civil cases against whites from 1865 to 1950. In other words, at no time did they actually stop interacting with state governments through the legal sphere. Instead, as their political and social constraints narrowed, they shifted the kinds of cases they litigated and how they presented themselves in their cases. In the cases I looked at, I found African Americans at times engaging the government at multiple levels over a single dispute– including engaging with the local, state, as well as the federal government. The case of Henry Buie that I discussed in my blog post yesterday gives us one example of this engagement with the government at multiple levels. After his master took his mule, Henry Buie turned for assistance to the local branch of the Freedmen’s Bureau and successfully convinced them to take action in his cause. 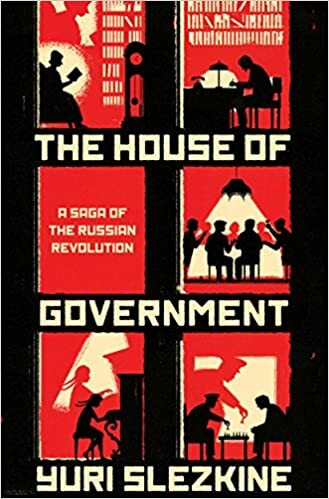 But it was not only federal power – but also state power that the freedman accessed. When his former master filed a civil suit to regain the mule, the former slave responded by hiring his own lawyer and fighting his former master’s claim in the local county court and then in the state supreme court. In this case alone, then, the suit was fought on at least three levels – before the Freedmen’s Bureau, before the local court, and before the state supreme court. In other cases, I found similar attempts to bring cases before multiple arbitrators and to attempt to pick the arbitrator that would be most sympathetic to their cause. I learned that government bodies that seem initially to be hostile to African Americans could still be institutions in which African Americans could have some success. Again and again – not only during Reconstruction, but in the two decades following as well as in the first half of the 20th century – some African Americans were able to negotiate the white-dominated southern legal system to gain decisions in their favor. To win civil cases against whites in state and county courts, black litigants often had to align their cases with whites’ interests, so that it was in the interests of the legal system to rule for them, rather than for the opposing white litigant. At the very least, they had to make it appear that ruling for them would have a net zero effect on the larger system of white supremacy. But when African Americans’ cases directly confronted the interests of larger numbers of whites in a substantial way – even when they appealed to rights such as property, they were frequently unsuccessful. In order to access government power through the courts, African Americans had to use and appeal to whites – white lawyers, white judges, white witnesses, and white jury members. Black litigants could not have litigated in southern courts without these whites. But working with whites had consequences. White lawyers limited the kinds of cases black southerners could litigate and shaped the arguments their cases could make. The important role of white witnesses in such trials also gave preference to suits in which whites agreed to testify. Moreover, black litigants’ dependence upon white juries and judges for favorable decisions at times led them to tailor their testimony and cases to their audiences, presenting themselves as more loyal or uneducated than they really were. In two-thirds of these cases during Reconstruction and about a third of cases in the two decades after Reconstruction, men and women who had been considered property now sued the very people who had owned them or their former owners’ heirs. They carried with them into court their long histories together during slavery. African Americans negotiated within the white-dominated courts by recognizing the interests of the people wielding power in this realm, and framing their claims to appeal to such parties. Often, black litigants had been coached by their lawyers on what to say in their testimony. But black litigants also made decisions about what to say in their testimony based on their knowledge about race relations in their communities and, at times, their understanding of relevant law and the facts of the case. Their testimony and other choices during the course of litigation often played an important role in the success of their cases. 8) Not just the usual suspects participated in civil cases. The final lesson I learned was that participants in the state courts went far beyond educated black men. Ordinary black men and women all played a part in the courts during the 85 years after the Civil War. During the three and a half decades after the Civil War, even the African Americans who gained a hearing of their case before a state’s highest court usually had very little formal education. Many had lived part of their lives as slaves or were the children of former slaves. In addition, in an era when white men dominated politics, almost half of these black litigants were women. Between 1865 and 1950, black women formed approximately 41 percent of African American litigants in civil cases between black and white litigants in the eight appellate courts examined. The role of ordinary black men and women in these cases re-envisions the courts as not only a forum for test cases backed by organizations, but as a place where ordinary black and white southerners challenged each other and worked out their economic disputes against each other. Please feel free to be in touch (contact details here) if you have any questions about my research. I will continue to release the transcripts and archival records of some key cases related to my research on my website in the coming months as well. Thank you again for the opportunity to blog here this month! The Max-Planck Summer Academy for Legal History provides a selected group of highly motivated early-stage graduates, usually PhD candidates, an in-depth introduction to methods and principles of research in legal history. The academy consists of two parts. The first part provides an introduction to the study of sources, methodological principles, as well as theoretical models and controversial research debates on basic research fields of legal history. In the second part the participants discuss the research theme and develop their own approach to the theme. The course will take place at the Max Planck Institute for European Legal History in Frankfurt am Main, Germany. As an academic discipline, legal history emerged both in Europe and several other world regions in the 19th and early 20th centuries: the age of the nation-state. 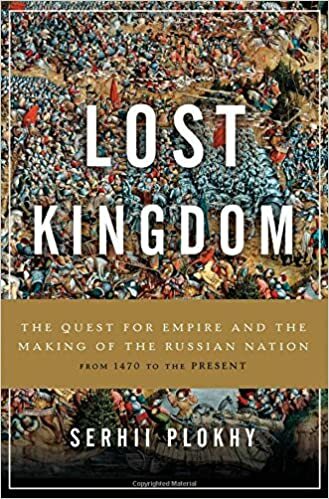 Research in legal history that focuses on local and regional contexts—Europe, for example—is a largely product of this heritage. Global history, historiographic reflection and new methods in the humanities have helped to bring the complexity of local, national, regional and global relationships into the purview of legal history. Moreover, the increasing importance of supranational and transnational law make it all the more urgent from the perspective of legal studies to consider the relation between world and village. Applicants to the 2018 Summer Academy are encouraged to present research projects that give special consideration to the connection between local and global legal discourses. Application: Required documents for the application are a CV, a project summary (approx. 10 pages) and a letter of motivation. Fees: There is no participation fee. Accommodations will be provided by the organizers. Participants, however, will be responsible for covering their travel expenses. There will be a limited number of travel scholarships available. Infidels in English Legal Thought: Conquest, Commerce and Slavery in the Common Law from Coke to Mansfield, 1603-1793, by Edward Cavanaugh, Downing College, Cambridge University published in Modern Intellectual History, is now out available online. English common law reports are dense with ideas. Yet they remain mostly untapped by intellectual historians. This article reveals how intellectual history can engage with law and jurisprudence by following the notion that “infidels” (specifically non-Christian individuals) deserved to receive exceptional treatment within England and across the globe. The starting point is Sir Edward Coke: he suggested that infidels could be conquered and constitutionally nullified, that they could be traded with only at the discretion of the monarch, and he confirmed their incapacity to enjoy full access to the common law. This article uncovers how each of these assertions influenced the development of the imperial constitution in the seventeenth and eighteenth centuries, when it came to war, trade and slavery. Identifying each of the major moves away from Coke's prejudices, this article argues that sometimes common lawyers responded to political change, but at other times anticipated it. Update: The SSRN version is here. 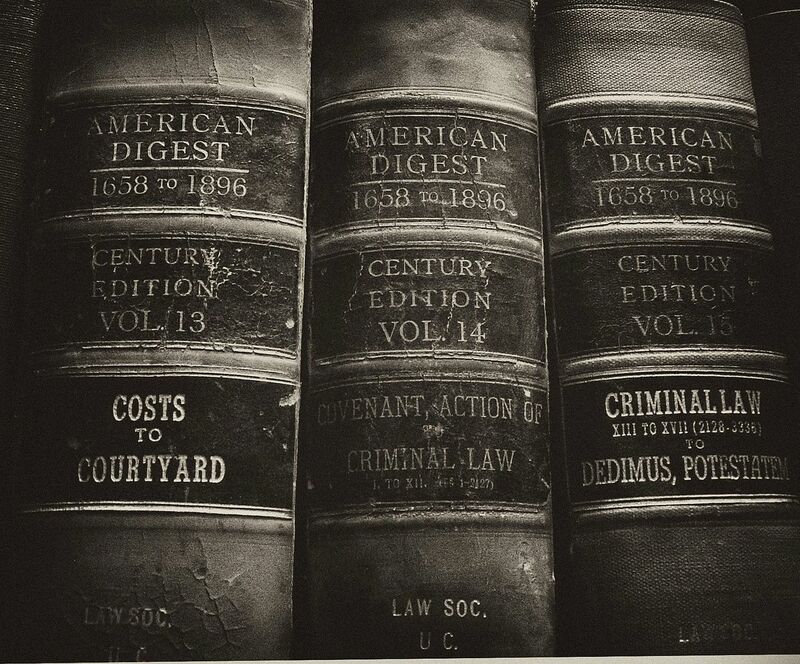 Drawing on perspectives from administrative law as well as the study of law and development, this article analyzes three important transitions in American law and society since the Chicago Haymarket Square Riot of 1886. First, between the Haymarket Square Riot and 1950, the United States made great strides in the use and capacity of its institutions. 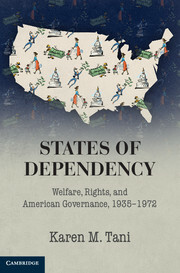 At the outset, Americans lived in what could be reasonably described as a developing country constrained by violent labor conflicts, fragile institutions, and economic uncertainty. By the end of this period the United States was a preeminent global power making routine use of courts and agencies to resolve societal disputes. Second, in the latter half of the twentieth century and the early twenty-first century, Americans saw their country experience major demographic changes arising from the United States' distinctive approach to immigration. 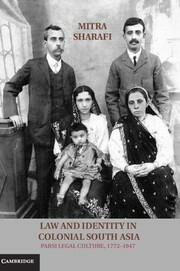 To implement its distinctive approach to mass immigration following the 1965 Immigration and Nationality Act amendments, the United States relied on elaborate mechanism for administrative adjudication and enforcement on a massive scale, as well as a more decentralized mechanism of regionally-based integration that could further both social cohesion and geopolitical aims. And third, the United States now faces emerging governance and regulatory challenges as technological developments involving networked computers and so-called “artificial intelligence” increasingly affect society and the nature of work. Once associated with the public contracting infrastructure used to support defense-related research and development, this transition is now catalyzing interest in regulatory and liability-related frameworks to govern the division of responsibility between human decision-makers and machine intelligence. I reflect on some of the similarities and differences associated with these transitions. I place them in the context of related legal developments, and assess what they reveal about the United States’ historical legacies and arrangements for pluralist governance. 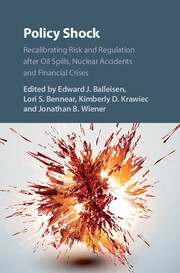 Ultimately, an understanding of these transitions provides not only indispensable context for the United States’ early twenty-first century institutional dilemmas, but also an appreciation of how a pivotal geopolitical power adapted to forge--however imperfectly--legal arrangements incorporating norms of non-arbitrariness in different settings where law affects development. As part of my guest blogging this month about the research in my new book Litigating Across the Color Line, I'm sharing excerpts from some of the archival case files of civil cases involving African Americans that I feature in my book. During the next few weeks, I'll also be sharing additional case file excerpts that could be used for teaching on my personal website, www.melissamilewski.com. 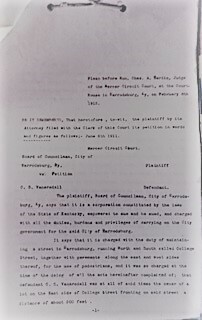 The Plaintiff Rebecca Sallee states that the Defendant City of Harrodsburg is a corporation duly organized under the laws of the State of Kentucky, and by the terms of its charter authorized and empowered to make contracts, to sue and be sued and to do all things necessary or pertaining to such a corporation, that by virtue of the laws under which it is incorporated the Defendant is and was at the times of the matters hereinafter complained of required to keep its side-walks and other public ways free from obstructions of every kind and in a reasonable safe condition, for the use of persons using and traveling thereon. Plaintiff states that on the 7th day of October 1909 and for sometime prior thereto therewas, in or near the edge of the pavement on side-walk on the East side of College Street in front of lot of Chas. S. Vanarsdall a hole dug the depth of about two feet, and on the pavement was piled dirt, brick and piping making a dangerous and unsafe condition of said side-walk for the traveling public, that said obstruction were known by the defendant, its officers and agents, negligently suffered and permitted said hole and dirt heap to remain on said sidewalk for a considerable time, up to and including the night of October 7th 1909, when the injury hereinafter complained of occurred. 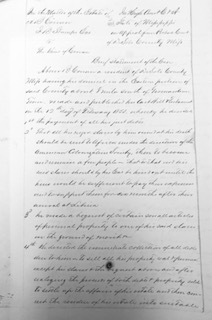 Plaintiff states that while said side-walk was thus obstructed to-wit, on the night of October 7th 1909, while the plaintiff was using said side-walk and was traveling thereon, from her home on Cornishville, street to the town, and without fault on the part of the Plaintiff, she stumbled over the said pile and heap of dirt, brick and piping and fell over same into the hole, whereby her limbs and body, were bruised and hurt and her back was wrenched and injured, producing thereon a large lump, and so violently wrenching, straining and spraining, plaintiff’s limbs and body, and by the shock to plaintiff’s nerves her kidneys were caused thereby to be disturbed and diseased and by reason of said fall and consequent injury as stated, plaintiff suffered great bodily pain and mental anguish, and has sustained loss of time and labor and was compelled to incur indebtedness for medical aid and attention, and her power to earn money has been permanently lessened. All of which was without the fault of plaintiff and was because of the negligence of defendant and to the damage of Plaintiff in the sum of Fifteen Hundred dollars. Wherefore she prays judgement against the defendant for said sum of Fifteen Hundred Dollars, for her costs herein and for all proper relief. B.F. Roach, Attorney for Plff. Official Stenographer’s Report of Testimony. Rebecca Sallee, Examined by Atty for Plff. 1-Q- Where do you live? Ans – On Cornishville pike. 2-Q- What is your age? Ans – I was born in 1862. 3-Q- You are the wife of Jim Sallee? 5-Q- And how many children have you? 6-Q- Where do you work? Ans – For Mr. C.D. Thompson. 7-Q- What position did Mr. Thompson occupy in the City of Harrodsburg during last year. Ans – He was Mayor of the City. The author addresses some major challenges facing the world today, by reference to the different roles Hugo Grotius played in his time, the enduring values he highlighted, the need for better implementation of the law, the importance of well designed procedures and the continuing significance of the law of nature and of nations. He concludes with the role of law in dealing with disasters. In the spirit of Willard Hurst's own work, the Hurst Prize is given to the best work in socio-legal history. 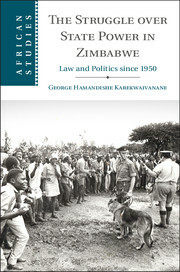 The field of socio-legal history is broadly defined to include the history of interrelationships between law and social, economic, and political change; the history of functions and impact of legal agencies, legislative and administrative as well as judicial; the social history of the legal profession; and similar topics. Self-nominations are accepted. Nominators must be current LSA members. The responsibility of ensuring that a work is submitted for the most appropriate book prize rests with the nominator. As a rule of thumb, books that have a significant historical focus should be directed to the Hurst Prize, while other works of socio-legal scholarship should be directed to the Jacob Prize. A book submitted for both prizes may end up being considered for neither. The award carries a cash prize of $500. Nominators must be current LSA members. Books must be published in English, or be English translations of original works. Books submitted must have a copyright date (regardless of actual publication dates) during the calendar year prior to the award ceremony. 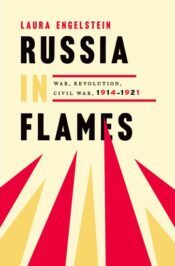 Page proofs may be sent if the book will be published soon with the proper year’s date. Only one single-authored work by the same author in a given year will be accepted. Two works by the same author will be accepted if one or both works are jointly authored. A letter of support from the nominator, including a synopsis of the book. Copies of the book are required to be sent directly to the J. Willard Hurst Book Prize Committee Members. Addresses will be provided after the nomination is submitted. All supporting documents must be submitted in English and be in .DOC, .RTF, or .PDF format. Committee members may live in other countries. Please take this into consideration for shipping time. All committee members must receive books by January 9th, 2018 to be considered. As part of my guest blogging this month about the research in my new book Litigating Across the Color Line, I wanted to share excerpts from some of the archival case files of civil cases involving black litigants that I feature in my book. 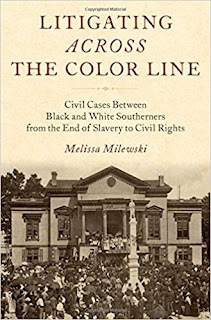 On my personal website, www.melissamilewski.com, I'll also be sharing more case file excerpts in the next few weeks that could be used alongside my book for teaching. 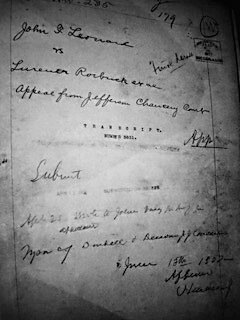 "Lurener Roebuck v. John F. Leonard ) In Chancery in Birmingham, Ala.
Testimony taken before the Register 11/17/1906. I am the complainant in this cause and am 22 years of age and reside in Jefferson County, Alabama. Mr. John F. Leonard, the respondent, is over the age of 21 years of age and resides in Jefferson County, Alabama. I live about a mile and a half in the Country above East Lake. I was living there on and prior to the 30th day of May, 1906. Prior to that date I was the owner of the NE 1/4 of the SE 1/4 and the SE 1/4 of the SE 1/4, Sec.30, Tp. 17, R. 1 West, in Jefferson County, Alabama. I am the only child of Jackson Ellard, deceased. He owned the land in his life time; he entered it. I know Mr. John F. Leonard. On the 30th day of May, 1906, he came out to my house to see me. He came to my house at about 11 A.M. on that day and asked me would I sell him my claim in 20 acres of land that Mr. Dougherty was in possession; I told him I did not know what about it; that I did not want to sell it; and he said that makes no difference he wanted to buy it; that Mr. Dougherty sent him out there. I told him that I did not know anything about it; that my uncle was attending to it, and he said that Mr. Dougherty said he had already seen my uncle about it and he said it would be all right. I told him I didn’t want to sell it unless I could see my uncle. And he said, Oh well I want to buy it, and Mr. Dougherty sent me out here; and he said that he would give me $10.00 down then if I would sell it. He said that if it was not agreeable to my husband that he would give me the money back; I told him that I did not want to take that, and he told me to take it anyhow and me and my husband could come into town and sign that I was willing to take it. He went ahead and gave me $10.00 and told me to sign my name that he had paid me ten dollars, and I signed my name and he told me then to come into town and get the rest of the money if my husband was willing to it. When we came into town he was not willing to take that for it, and I offered him the money back and he agreed to give $35.00, and paid $5.00 that day, and I came back and he paid me the other $20.00; he paid me in all $35.00. I told him that I was not satisfied with it. He says well you have got to be; I have got the whole forty now. I told him I did not sell but 20 acres. He did not ask me to sell him but 20 acres. Mamma told him that she had something to say in it, and she was going to see if she could not get it back. He said all right that he had done bought it and had the whole thing. We come on away then and left him alone. I went back to Mr. Leonard and told him I would give him his money back. Before that time I thought I had sold him 20 acres. Before I went to Mr. Terry’s office I did not know that I had deed him more that 20 acres. After I found out that I had deeded him more than 20 acres, I went to see Mr. Leonard when I came back to town, after receiving a letter from Mr. Terry. I told him that he had got the whole 80 and I did not know I was deeding him the whole 80. He said, “Well you have.” I asked him then would he give me the land back and take his money and he said “No. if I lose, I lose.” that he would not take the money back. I told him I wanted him to take it back, or I would try the law about it, and he said for me to tell my lawyer to pop his whip. I told him all right. Then I left. I told him I would give him back the money, but I did not have it with me at that time. He said he did not want it. For more of the case to use for research and teaching, see an extended excerpt and scans of several pages of the case (provided with the permission of the Alabama Department of Archives & History) on my personal website, www.melissamilewski.com. *Leonard v. Roebuck, 152 Ala. 312 (1907). The full archival case file is located in the Alabama Department of Archives & History, Montgomery, Alabama. Ignace & Ignace, "Secwepemc People, Land, and Laws"
Secwépemc People, Land, and Laws is a journey through the 10,000-year history of the Interior Plateau nation in British Columbia. Told through the lens of past and present Indigenous storytellers, this volume detail how a homeland has shaped Secwépemc existence while the Secwépemc have in turn shaped their homeland. Marianne Ignace and Ronald Ignace, with contributions from ethnobotanist Nancy Turner, archaeologist Mike Rousseau, and geographer Ken Favrholdt, compellingly weave together Secwépemc narratives about ancestors’ deeds. They demonstrate how these stories are the manifestation of Indigenous laws (stsq'ey') for social and moral conduct among humans and all sentient beings on the land, and for social and political relations within the nation and with outsiders. Breathing new life into stories about past transformations, the authors place these narratives in dialogue with written historical sources and knowledge from archaeology, ethnography, linguistics, earth science, and ethnobiology. In addition to a wealth of detail about Secwépemc land stewardship, the social and political order, and spiritual concepts and relations embedded in the Indigenous language, the book shows how between the mid-1800s and 1920s the Secwépemc people resisted devastating oppression and the theft of their land, and fought to retain political autonomy while tenaciously maintaining a connection with their homeland, ancestors, and laws. Harvard Law School invites applications for the Berger-Howe Fellowship for the academic year 2018-2019. Eligible applicants include those who have a first law degree, who have completed the required coursework for a doctorate, or who have recently been awarded a doctoral degree. A J.D. is preferred, but not required. The purpose of the fellowship is to enable the fellow to complete a major piece of writing in the field of legal history, broadly defined. There are no limitations as to geographical area or time period. Applicants for the fellowship for 2018-2019 should submit their applications and supporting materials electronically to Professor Bruce H. Mann. The deadline for applications is February 15, 2018, and announcement of the award will be made by March 15, 2018. The fellow selected will be awarded a stipend of $38,000. Yesterday, my blog post discussed the kinds of civil cases black southerners most frequently litigated against whites in eight southern state supreme courts between 1865 and 1899. 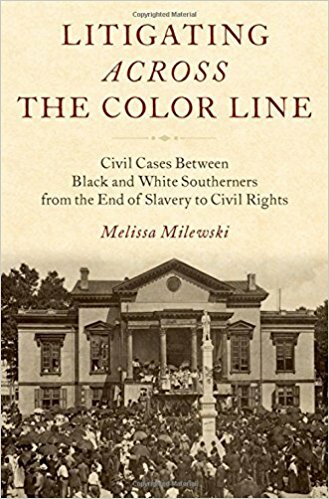 Today, I'm drawing on the research in my new book Litigating Across the Color Line to discuss the most common kinds of appellate civil cases litigated by African Americans against whites between 1900 and 1950, and how black southerners' cases shifted during this period. Black southerners had litigated a range of appellate civil cases against whites between 1865 and 1899, and often asserted their rights in such cases boldly. But as disfranchisement and segregation increasingly set in at the end of the 19th century, the kinds of civil cases black litigants were most able to litigate against whites in their state's highest courts shifted. During the first two decades of the 20th century, in particular, the types of appellate civil cases between black and white southerners narrowed significantly. Now, almost three-fourths of the appellate civil cases examined involved personal injury or fraud in property dealings. To a limited degree, this reflected larger legal trends, including the nationwide growth in tort cases. However, I argue that fraud and personal injury cases occurred especially frequently in appellate civil cases between black and white litigants during this period because the legal claims necessary to support these cases also sometimes supported whites' ideas about racial inequality. According to the law, it was difficult to bring a case of fraud if both parties in the transaction stood on an equal footing. Similarly, in personal injury cases, litigants needed to demonstrate that they had suffered injuries that caused them pain and loss of income. As a result, black litigants in such cases had strong motivations to present themselves as particularly vulnerable, and/or uneducated, which they almost uniformly did in cases that reached southern state supreme courts. Such presentations supported both their legal claims and white jury members' and judges' ideas about race, allowing black southerners to litigate cases against whites even at the height of Jim Crow. In one 1907 Alabama fraud case, the white defendant J.W. Abercrombie had defrauded the elderly black plaintiff, 81-year-old Andrew Carpenter, by telling him that he was signing a mortgage when he was actually deeding away his property. In response, Carpenter brought a civil suit against Abercrombie. 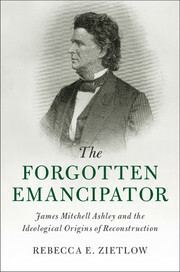 In his testimony, just as in the testimony of almost every other black litigant in an appellate fraud suit during this period, Carpenter emphasized his lack of business knowledge, stating “I do not know anything about the significance of deeds and mortgages, or legal papers.” But even as they emphasized their lack of education in such suits, African Americans' defiance and assertions of their rights still sometimes clearly came through. Carpenter also testified that when he confronted the white man about the fraud, Abercrombie had offered to pay him a small fraction of the costs of the property. 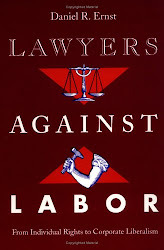 Carpenter then testified, “I told him I would not take $100 but before I took that I would die first.” He continued, “I came on then to see if I could get any rights in court.”* Despite such assertions of individual rights, however, most such cases during the first two decades of the 20th century made no larger claims for African American rights as a whole. These largely individual-led civil cases challenging discrimination during the 1920s, 1930s, and 1940s existed alongside the NAACP's legal efforts to challenge discrimination. Ethel New's law firm, for instance, also played a part in representing Irene Morgan in the 1946 NAACP-led suit Morgan v. Virginia over interstate bus travel. In general, though, the civil suits during this time that challenged discrimination in southern appellate courts seem to have been brought by individuals who had economic stakes in the suits, as well as concerns over equal rights. In these ways, these suits had many similarities to the many civil appellate suits between black and white southerners that had occurred in the decades before. * Abercrombie v. Carpenter, 150 Ala. 294 (1907).